Like to be scared? Be careful what you wish for. Prepare to be stalked by unknown monsters, creatures lurking in the dark, and much more. Louisiana’s houses of horror, spooky mansions, and frightening farms will surely send chills down your spine. 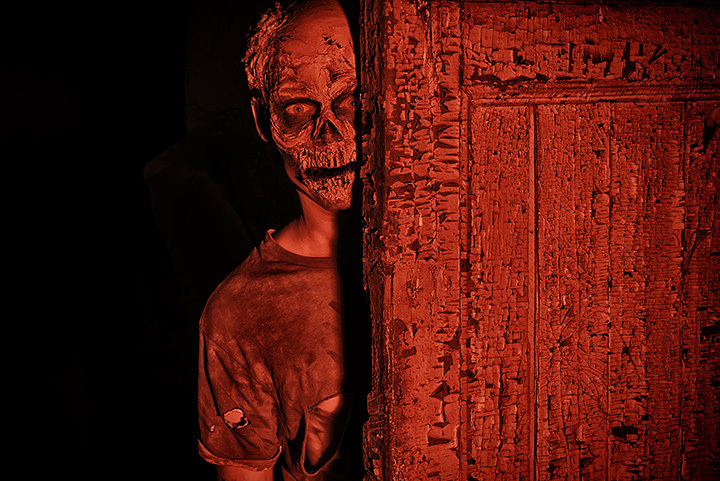 Here are our favorite haunted attractions in the state. If you’re looking for in-your-face horror this Halloween, check out the Chamber of Horrors in Harahan. It’s so scary no one under 13 is allowed without an adult. You’ll find yourself in various rooms of the house like the torture chamber, where unspeakable things happen changing people into something less than human. Guaranteed to be a fun time. Are you one of the lucky ones who can survive Evil Visions? Enter at your own risk and be prepared to scream. Wander through and try to find your way out of the scariest place in Monroe, Louisiana. Long after your visit, you’ll have nightmares about the carnage seen in every corner, on every floor, around every turn. Go ahead and try not to scream. You’ve heard the saying, “if the walls could talk.” Lalaurie Mansion has walls that whisper. They tell the story of the mad woman of the house, Delphine LaLaurie, who was obsessed with staying young. See the house and learn about the evil that happened behind its doors, but beware of the ghosts. All legends start from a grain of truth. Once a busy mortuary in New Orleans, it’s now home to evil and darkness. If you dare to visit this dreadful place, make sure to be on the lookout for things that aren’t quite right. And if you’re there after midnight, be especially careful. That’s when the ghosts come out. Imagine your worst nightmare. See it in your mind? You’ll see that and worse at Rise Haunted House. It will take your breath away and you won’t be able to scream. There’s definitely a story here but be prepared. It won’t have a happy ending. Visit the bone chilling maze that you have to find your way out of. Go through the haunted cemetery, home of the dead and the undead. Become part of the dark and sinister world of Dr. Rottmeyer who practices “alternative” medicine. The haunted hayride will take you through the woods, but it’s not going to Grandma’s house. Hollywood meets horror at the 13th Gate in Baton Rouge. One of the best haunted houses in the country, anything can happen in this other worldly place and usually does. Once inside, you’ll do anything to escape, even crawling through the crematory oven and hiding in underground tunnels. Watch out for the live snakes when you run across the rickety bridge as you try to get away. Not recommended for the faint of heart, children, people with weak hearts. Remember the funny clowns you saw at the circus when you were a child? These aren’t those clowns. It doesn’t get much scarier than this at New Orleans Nightmare, where dreams become reality and this reality could scare you breathless. Don’t forget to visit the slaughterhouse on the way out. Everyone is dying to go there. Don’t let this beautiful plantation house with its century-old trees, gorgeous front porch, and flower gardens fool you. All is not as it seems here. Although a popular bed and breakfast, there are unseen forces at work. Take the little girl dressed in Antebellum clothing who looks out the window. Who is she? What happened to her that ties her to this place? Visit and here the story. Trees are lovely and delightful to look at. Most trees, that is, but not the ones at this tree farm. Based on true events, you’ll never look at trees the same way after you visit the Tree Farm Massacre. They’re only trees, you say? These trees have eyes. Many people go into the woods, but few return. Will you be one of them? The Loup Garou is known throughout Cajun stories to live in the forbidden forests near Lafayette, Louisiana. Hideous to behold, it has one desire…to feast on human flesh. With the keen instincts of a werewolf, this creature sees best in the dark. But it’s okay. You only have to make it through 20 acres of dense forest to safety.